We offer a modern DETACHED FAMILY HOME set within Cawfields Close in the popular 'Bellway' built Hadrian Village development. Ideally placed the home provides good access onto the A19, Tyne Tunnel and Howdon Metro Station is situated within close proximity. The home has THREE GOOD SIZED BEDROOMS and offers beautifully presented accommodation that is ready to move into and boasts a LOVELY REAR GARDEN which takes advantage of a WESTERLY ASPECT. To the ground floor there is an entrance hallway, lounge, dining room, kitchen, UTILITY ROOM and WC, whilst to the first floor there is a master bedroom together with EN-SUITE, two further bedrooms and a family bathroom. Externally there is DRIVEWAY PARKING to the front, GARAGE and a good sized rear garden. Council tax band B. FREEHOLD. 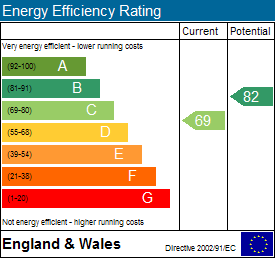 Energy rating C. The vendor has advised that a new boiler was installed in 2018. To arrange a viewing call next2buy on 0191 2953322. Hallway - Entrance door opening into the hall. Staircase leading to the first floor accommodation, storage cupboard, access into the lounge, double central heating radiator. Lounge - 16'11 x 11'10 (5.16m x 3.61m) - Double glazed window to the front elevation, double central heating radiator, open access to the dining room. Measurements into the longest and the widest points. Dining Room - 10'0 x 8'5 (3.05m x 2.57m) - Double glazed door leading into the private rear garden, access into the kitchen, double central heating radiator. double central heating radiator, access into the utility room, storage cupboard. Utility Room - 5'2 x 6'11 (1.57m x 2.11m) - Plumbing for washing machine, access into the WC, door leading to the rear garden. Wc - 5'2 x 2'10 (1.57m x 0.86m) - Comprising; low level WC, wash hand basin. First Floor Landing - Access to the bedrooms and the family bathroom, loft access and airing cupboard. Bedroom One - 13'2 x 13'8 (4.01m x 4.17m) - Double glazed window to the rear elevation, access into the en suite shower room, built in wardrobes, single central heating radiator. 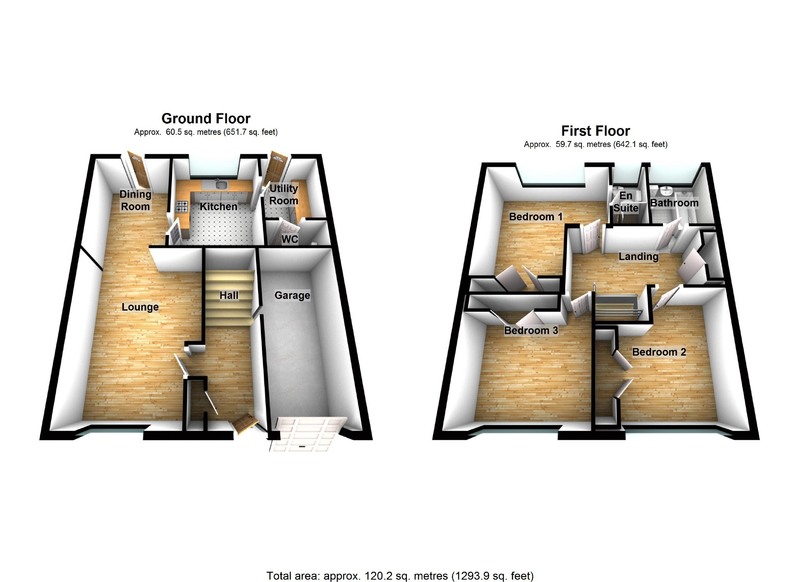 En-Suite - 4'9 x 5'6 (1.45m x 1.68m) - Comprising; shower cubicle, low level WC, wash hand basin, double glazed window to the rear elevation, single central heating radiator. Bedroom Two - 12'3 x 8'0 (3.73m x 2.44m) - Double glazed window to the front elevation, single central heating radiator, built in wardrobes. Bedroom Three - 8'0 x 11'11 (2.44m x 3.63m) - Double glazed window to the front elevation, single central heating radiator, built in wardrobes. Family Bathroom - 6'6 x 6'2 (1.98m x 1.88m) - A white suite comprising; bath, low level WC, wash hand basin, partial tiling to walls, double glazed window to the rear elevation. External - There is a lawned garden and a driveway to the front of the property together with access to the garage. To the rear of the property there is a good aspect private garden which is laid mainly to lawn together with decking and a fenced perimeter. The rear garden benefits from a westerly aspect.